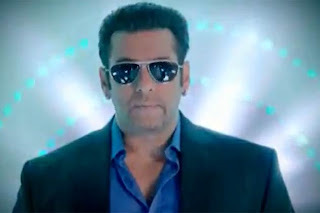 Mumbai, Sep 16 (IANS) Bollywood superstar Salman Khan, who will be hosting Color's show "Bigg Boss" for the third time now, says that he doesn't have any hand in selecting the contestants for the show. "I don't want to recommend anyone as I don't want to be partial or biased. I also get to know at the last minute," he said at a press conference here Sunday. This will be the sixth season of the show and will be aired at 9 pm daily on the channel from Oct 7. The show has added many new elements to the format like a pet parrot and a fish. Also, common people will also get to be a part of the show. Salman also clarified that as a host of the show, he doesn't like to intervene but could not help it last season due to the circumstances. "I felt very bad but I was getting feedback about the show from everywhere. I am not supposed to intervene, but it had become too much," he said. Salman also added that even though some of the contestants may try to come into the limelight through controversies, but the winners have always been different. "The contestants who were in the house thought they would be seen more on the show. But the winners have always been dignified," he said. The show comes with a promise of being more family oriented this season. For up to date with the latest Entertainment News you can now just go with http://popculturez.com/ .And I am assure you that you will be the lucky one who get that particular Entertainment News on billion people.